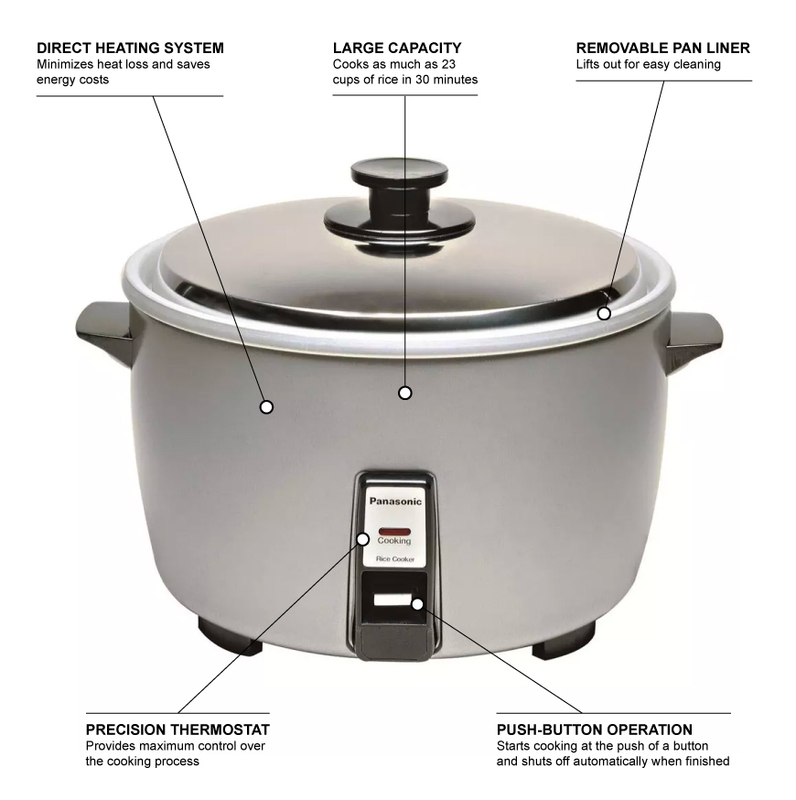 With a built-in thermal safety fuse and an automatic shut-off, the Panasonic SR-42HZP commercial electric rice cooker is perfect for restaurants that offer rice to their customers. 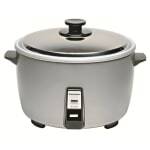 This particular rice cooker has a 23-cup capacity and can serve approximately (74) 3-ounce portions. The cook time is approximately 30 minutes. As soon as the rice is done cooking, the cooker shuts itself off. This model will keep the rice warm for up to two hours without burning or overcooking the rice. The pan liner is removable to be easy to clean, and the lid is made from stainless steel for durability and corrosion-resistance. 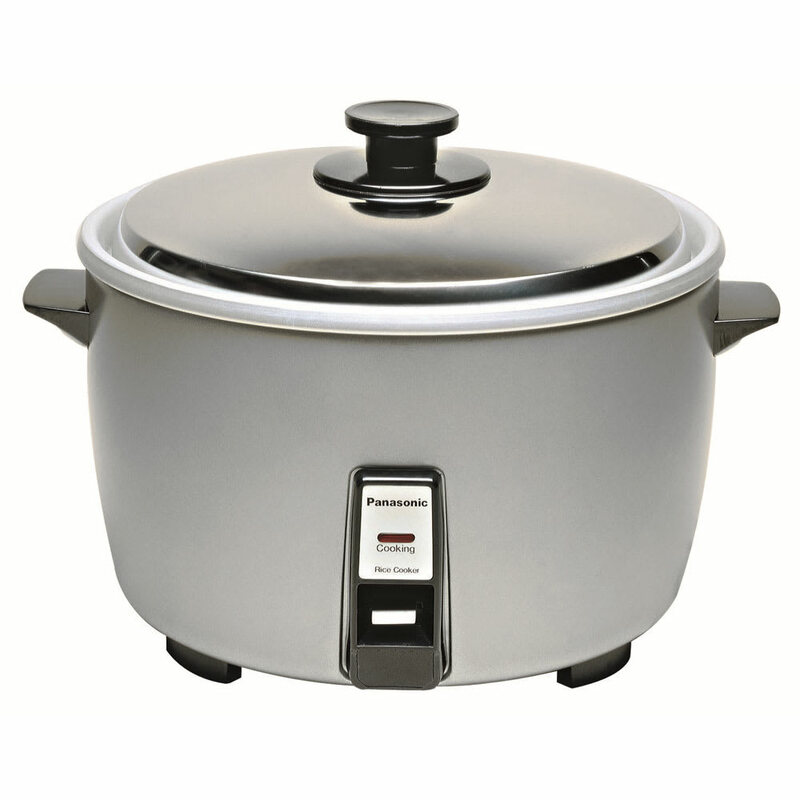 The Panasonic SR-42HZP commercial electric rice cooker can do more than just cook rice; the cooker can also braise, heat liquids, and cook many other foods. Cooks up to 23 cups of rice in 30 min.